The UK board game helps to revise the info about the UK in an enjoyable way. The present downloadable worksheet is intended for elementary school students at Pre-intermediate (A2) level. It is useful for improving your students' Speaking and Reading skills. 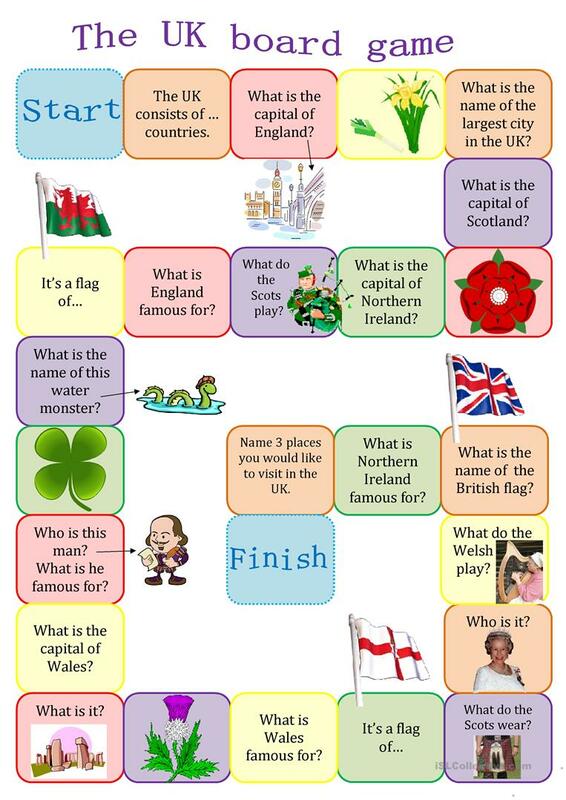 It features the vocabulary topic of United Kingdom.